I will never get tired of saying that the Tuscan cuisine does not exist. It is now generally acknowledged that it’s not possibile to talk about Italian food, because we are fragmented into a thousand bell towers, each with its specific customs and culinary traditions. But even in a region like Tuscany it is difficult to find uniformity in cooking. Travel through Tuscan for a week and you’ll taste the seaside dishes, being it in Versilia and Maremma, the mountain specialties, in the Garfagnana, the Apennines or the Amiata, then you’ll discover the culinary traditions of the Tuscan hills, like in Siena, Florence or Valdorcia … In short, at closer look, we are still influenced by the Middle Ages times, each retreated into its traditions, standing up to defend them and proclaim that they are the only true and reliable ones. The tomato bread soup is the clearest example of these picturesque diversities. One of the first recipes I posted here was my grandma’s pappa al pomodoro, the Sienese version, made ​​with fresh tomatoes but fairly pale. This is undeniably the only existing tomato soup for my grandmother, the only worth to be passed on. Then my friend Emanuela taught me her Florentine version, in which the bread is soaked in ruby red tomato purée, fresh or in a jar, the one I used to make these filled ravioli. This is the version that I use for my cooking classes, the same I’ve made in large quantities for the wedding picnic, the only one I love, soft, silky, flavorful, my comfort food from Tuscany. The Florentine pappa al pomodoro and the Sienese one do not even look alike from a distance, yet they have the same name and legions of supporters who will swear on their mother’s life that theirs is the true Tuscan tomato bread soup. Then you climb over a hill and go to San Vincenzo, where you discover that there they make pappa al pomodoro with catmint, one of my favorite herbs, that we use, though, only for grilled aubergines in summer and for mushrooms, as in this recipe for spelled tagliatelle. For the sake of clarity (and love of tomato bread soup, of course) I’ve done and redone this recipe dozens of times, finding the right quantities and cooking times, to get to define MY recipe. I do not know where it may be geographically located, but I know for sure that this is the recipe I teach in my classes here in my kitchen and the same one that Claudia and I wolf down in the evening with a spoon, directly from the pot. Doses are for 4 people, use the best ingredients you have: good olive oil, Tuscan unsalted bread and fresh tomato purée. Soak the stale bread – cut into slices – into cold water. Chop finely the onion, the carrot and the celery and brown them lightly with a few tablespoons of extra-virgin olive oil in a large pot. When the chopped vegetables are soft, pour in the tomato purée and let it simmer for about 15 minutes on low flame, covered. Squeeze the stale bread with your hands to remove all the water and crumble the bread into the tomato sauce. Stir well. Let it cook for about 10 minutes over low heat. Purée the garlic and add it to the tomato bread soup along with some basil leaves. Remove the soup from the heat and stir into a generous dash of your best extra virgin olive oil. Season with salt and set aside covered with a lid for at least one hour. Reheat gently before serving it and enjoy! And you? Have you ever made pappa al pomodoro? Which is your version? Or better, would you dare making this soggy bread soup? Can you find an unsalted bread suitable for the recipe? You know that this is one of my favourite topics – the way the dishes change from town to town! 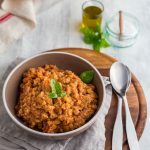 There’s something about pappa al pomodoro that I’ve always seen different from house to house too and I wonder if you came across it as well – it’s when to put the bread in. There are recipes like both of yours where the bread is cooked in the soup, and then there’s the version where the bread is added at the very end, after the soup has already cooked, off the heat. The difference? I’ve found it makes two different textures completely, with avid followers of either kind depending on what they grew up with! you are right Giulia that there is not A Tuscan cuisine. but once of the things that most impresses me of food I ate in Tuscany or recipes I have read from you and Emiko of others: is the pure simplicity of the recipes that create such flavorful and delightful food! I think it is the freshness and home-growness of the ingridients that allow things to remain simple because you can taste the flovors of tomatoes, bread, carrots and oil mixing together. all the more reason to visit Tuscany and your cooking school more often! looking forward to discovering the coastal region and food on my next visit with you and Emiko. I only ever make this dish when I’m in Tuscany and can get the right bread, but it’s so delicious. My Mum’s recipe is slightly different from yours so would be intrigued to compare the two. Where is that AD to click on for translation in the pappa pomodoro video?? Top right of the video! Enjoy it! Sorry, found it. I was watching it on Youtube, and there’s no AD there. Italian comfort food, there’s probably nothing better. I really enjoy your posts Giulia! Thank you for a wonderful post, Giulia! I want to run out and make this right away, but good olive oil and unsalted bread are impossible to find in our Little Canadian town. I would love to make this with you in September, we are counting down the days! we will make it for sure, with the best ripe tomatoes we have! This is my go to comfort food dish! So simple, yet so delicious, comforting and satisfying. In my version, I omit the celery and add white beans. What a beautiful writing and a delicious soup. I love the simple yet flavorful meals. New to your blog but hope to stay for more stories and recipes. This looks so fresh and simple. I love it. what is tuscan bread though? Can I make it at home? Or find it in a French bakery (perhaps under a different name)? What you say about Tuscan cooking makes perfect sense to me. After learning about Provençal cuisine, I’m finding the same thing here- socca and cade for instance are the same base yet completely different based on their region (and name). What is popular is Nice is not popular in the Valcuse. It’s amazing. Great job Giulia and glad I stumbled upon your website. 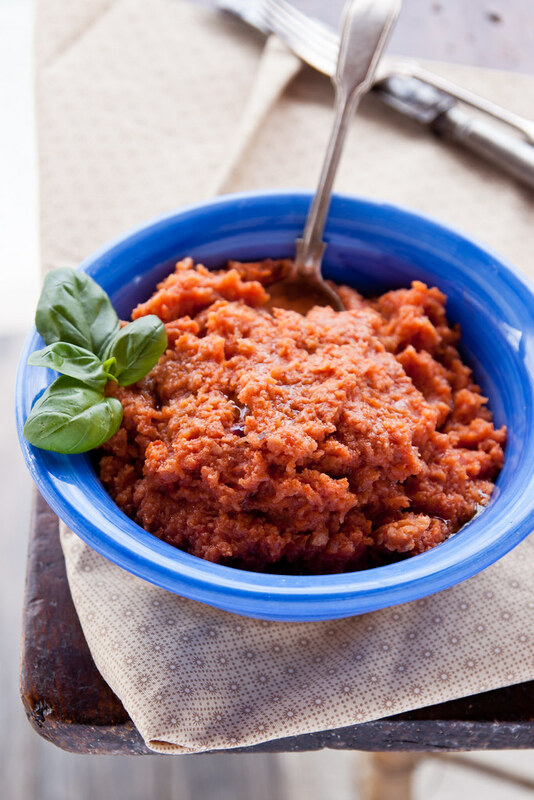 I just published the authentic recipe for pappa al pomodoro (or one of them I should say ;-). We love to talk about the history behind the food on our blog so I will be sure to come back next time we want to feature Tuscan cuisine as we did this week with pappa al pomodoro and panzanella.